CarGurus has 10,242 nationwide MKC listings starting at $11,999. Compact but carrying plenty of classy clout, the 2016 Lincoln MKC offers some worthy competition to Asian and European rivals. Now in its sophomore year, this downsized 5-door, 5-passenger crossover was introduced for the 2015 model year and sports few changes for 2016. A couple of new exterior color choices are on tap, and the often-frustrating first-generation Sync technology is replaced by a (hopefully) more driver-friendly Sync 3 system, but that’s about it. Trims returning for the upcoming model year include the entry-level Premier, the up-featured Select, and the top-shelf Reserve, with the latter pair presented by Lincoln as available “Equipment Groups”. The Reserve trim/group also remains available in the Black Label edition, which adds upgraded materials and features, and souped-up perks like delivery of your new MKC to your door, folks who will drive your Lincoln back and forth for service, added concierge services, and even gourmet dining options to your Lincoln experience. Again for 2016, the MKC is offered with a choice of engines and drivetrains. 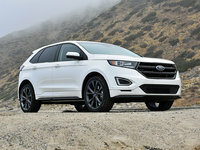 The base engine remains a 2.0-liter turbocharged inline 4-cylinder (I4) powerplant that mates with the standard 6-speed shiftable automatic transmission to put out 240 hp and 270 lb-ft of torque. This force-fed I4 is expected to again be delivered with those trims packing standard front-wheel drive (FWD), although the base Premier packs this engine in both FWD as well as the optional full-time all-wheel-drive (AWD) iteration. Look for 20 mpg city/29 highway/23 combined in FWD variants, 19/26/22 in AWD-equipped versions. 0-60 time is a pokey 8.0 seconds with this pint-size engine, which sits towards the bottom of the compact crossover class. Need more grunt? The pricier AWD-equipped 2016 MKC editions are expected to return endowed with a 285-hp turbocharged 2.3-liter powerplant that also hosts the 6-speed shiftable automatic to the tune of 305 lb-ft of torque. This marginally peppier powertrain holds its own, economy-wise, at 18/26/21, while 0-60 time is pegged at 7.2 seconds (still not overly impressive). As for appearance features and creature comforts, the MKC is, after all, a Lincoln. Thus, it maintains the tradition of luxury for which the brand is legendary. Reviewers, however, caution that this value-conscious mini-ute won’t be mistaken for its Navigator cousin. And a mere 53.1 cubic feet of cargo area, with the rear seatbacks folded, is far from a class leader. Nevertheless, look for all trims to sport standard 18-inch alloy wheels, heated power-adjustable outside mirrors, remote engine start, keyless entry and ignition, and LED taillights. Higher-echelon trims are expected to offer power-folding exterior mirrors, while the Reserve and its Black Label upgrade boast a standard panoramic power sunroof and a power liftgate with foot-swipe sensors. Inside, depending on the trim selected, the 2016 MKC is slated to return toting leatherette or leather-trimmed upholstery, heated power-adjustable front seats, full power accessories, and memory for driver settings. Of course, cruise control and telescoping tilt-wheel steering remain standard throughout the lineup, with higher trims boasting a power-adjustable steering wheel. Additionally, dual-zone automatic climate control is expected to remain standard in all variations, with the Reserve and the Black Label sporting standard ventilated front seats. Techno-bling, meanwhile, is scheduled to be improved with the new-for-2016 Sync 3 infotainment system, and will link up with hands-free MyLincoln Touch Bluetooth-interfaced technology via the familiar 8-inch touchscreen display. Furthermore, entertainment is expected to remain a single-CD player with 9 speakers, satellite radio, and an SD card slot. Again, the Reserve and Black Label iterations add standard GPS navigation and smartphone apps to all of the above. Options for the 2016 MKC stable are expected to include the Climate package featuring rain-sensing wipers, heated rear seats, and a heated steering wheel. The safety-oriented Technology package, meantime, will return sporting adaptive cruise control, lane-departure warnings, a forward-collision alert, and automatic parallel-parking assistance. Additionally, standalone options return in the form of upgraded and upsized wheels, active suspension dampers, and the touted THX II premium audio system, boasting 700 watts of power blazing through 14 Surround Sound speakers. Standard safety equipment again scheduled aboard the MKC for 2016 includes 4-wheel antilock brakes, traction and stability control, front side-mounted airbags, front and rear head airbags, turn-signal-integrated mirrors, and high-intensity-discharge (HID) headlights with an automatic high/low-beam feature. Additionally, look for upgraded Sync 3 emergency telematics to be standard for 2016, along with a post-collision safety system, Ford’s teen-driver-oriented MyKey speed and audio programming technology, and a remote antitheft alarm. Higher trims, furthermore, are again slated to tote standard blind-spot warning technology with rear cross-traffic alerts. All of this can be supplemented, meanwhile, by the above-noted Technology package. 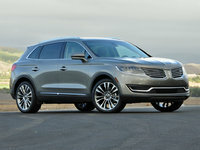 The National Highway Transportation Safety Administration (NHTSA) gives the current MKC only 4 out of a possible 5 stars for overall crashworthiness, while the Insurance Institute for Highway Safety (IIHS) awards this downsized Lincoln crossover its highest rating of Good all around. Finally, look for the second-year 2016 MKC to begin challenging Audi’s handsome Q5, Acura’s practicality-minded RDX, BMW’s athletic X3, and Mercedes-Benz’s classy GLK-Class in the autumn of 2015. 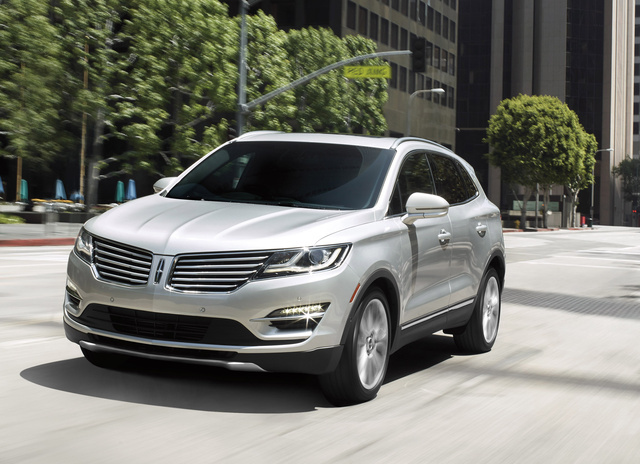 What's your take on the 2016 Lincoln MKC? Users ranked 2016 Lincoln MKC against other cars which they drove/owned. Each ranking was based on 9 categories. Here is the summary of top rankings. 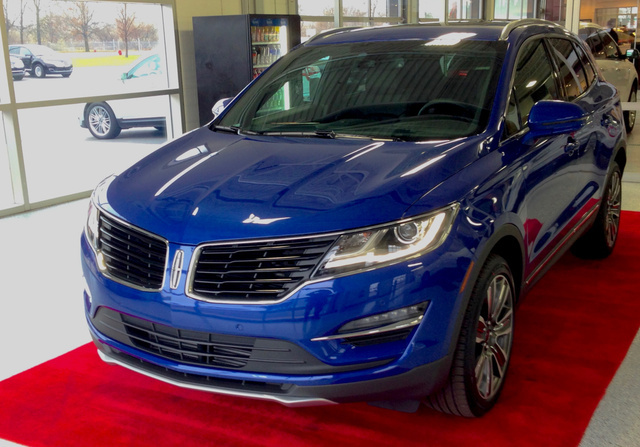 Have you driven a 2016 Lincoln MKC?